Race, race, race, its all about race! Race, race, race, all up in your face! Ever since this president has been in office, race, racism and racists have dominated the nation’s consciousness. It annoys me that politicians have tripped over themselves to show us how effective and politically correct they are by banning the Confederate flag. Like the banning of that flag can stop racism? Really? Just like you can’t stop killing by banning guns, so you can’t stop racism by banning flags. Racism is a heart problem, a sin problem. The Bible says “let him who is without sin cast the first stone”..well, we have plenty of people, “with” sin, casting stones, rocks, bottles and epithets, but don’t see the hypocrisy of their words and actions. YOU CAN’T STOP RACISM BY BEING RACIST! (as in kill the white cop). I am a black man who has been around black friends and acquaintances who will take every opportunity to castigate whites, as in “that white blankety blank, did you see what that white blankety blank did, did you hear what that white blankety blank said”, etc. The Ku Klux Klan and white supremacists have been racist from a wrongful place of arrogance, idiocy and hatred, while many blacks of today are racist from a place of idiocy, hatred, liberalism and, “you were racist to me and now it’s my turn, you white blankety blank”. The church family in Charleston, SC, where 9 black members were shot down by a white idiot, have done more to heal racism than Barrack Obama, Louis Farrakhan, and Al Sharpton combined. The nation has witnessed one of the most profound displays of Christianity, love, and forgiveness that’s ever been displayed. The pastor’s family and church brought tears to the nation’s eyes by not only forgiving the person responsible for the loss of their loved ones, but also by refusing to fight racism by being racist and refusing to hate, but rather show love and mercy . 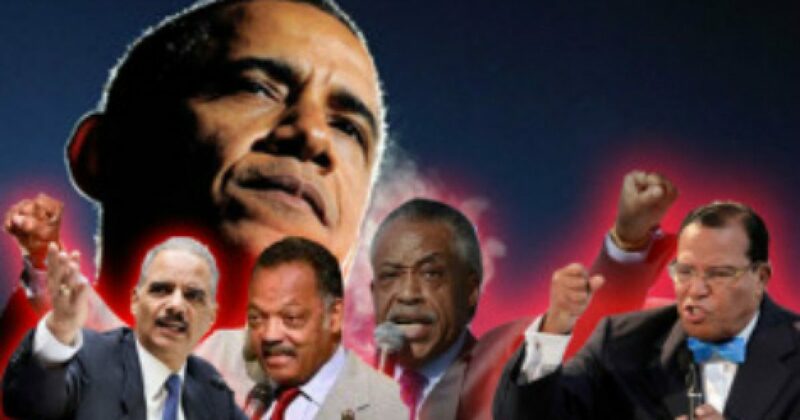 Can you imagine the “so-called” Reverends Sharpton or Farrakhan calling for forgiveness to the white person responsible for killing their loved ones, or even the president? I think not! It’s NOT in their DNA. There is a saying that time heals all wounds, but everyone knows healing can’t take place if you keep picking the scab. Al Sharpton, Louis Farrakhan, Barrack Obama and their ilk are professional scab-pickers. I pray to GOD our nation will listen to the Charleston church rather than the liberal “scab-pickers” of America.